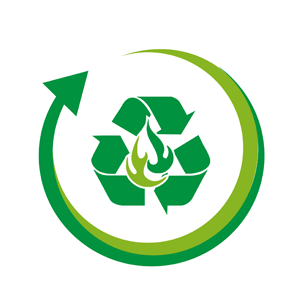 WTE System is a structured system for the enhancement of waste, also as it is. 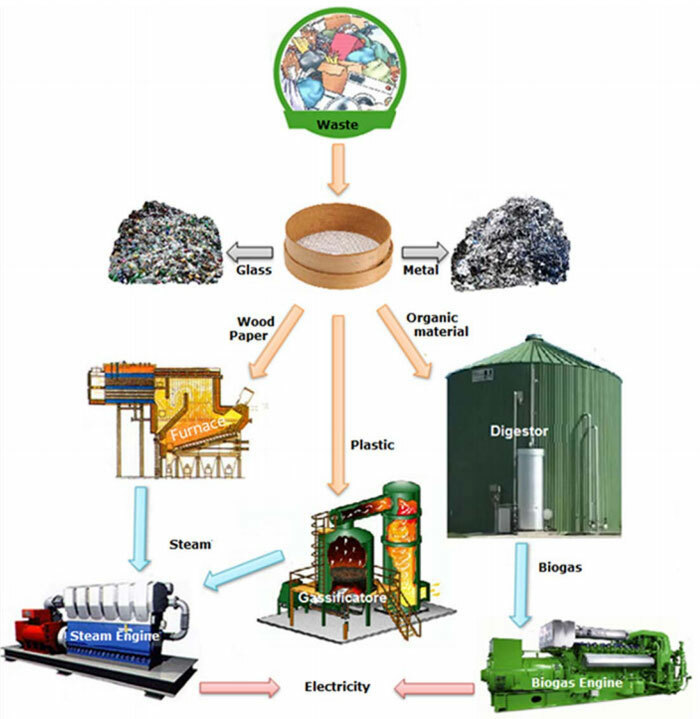 Depending on nature of waste to be treated, may be present separation stages, to recover the materials with residual value, and cogeneration stages, for energetic exploitation of organic material and/or biomass fuels. The result is a plant capable of ensuring an effective recovery of glass and metals, as well as produce Electricity and Thermal Energy from materials otherwise destined to be accumulated in landfills causing a significant negative environmental impact. 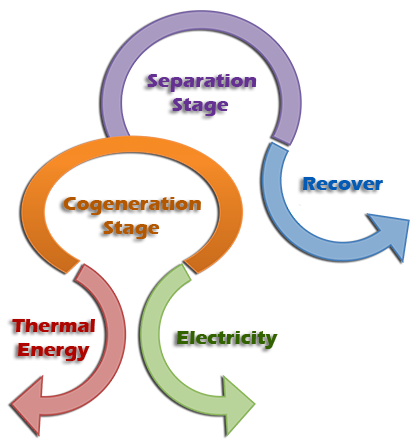 a cogeneration stage, which components depends on organic material and/or biomass fuels. There is no a standard plant, but each system must be designed, dimensioned and made based on type and quantities of waste available. WTE System is based on consolidated technological solutions, fully integrated, thanks to the close partnership established with leading companies.